Silver - Turquoise There are 3 products. Turquoise is perhaps the oldest stone in man’s history, the talisman of kings, shamans, and warriors. It is a stone of protection, strong and opaque. This stone will provide harmony , fulfillment and protection . Turquoise attracts wealth, success , friendship and love and also is a protective stone , giving courage , reducing tension. Most often found in Iran , New Mexico and USA. 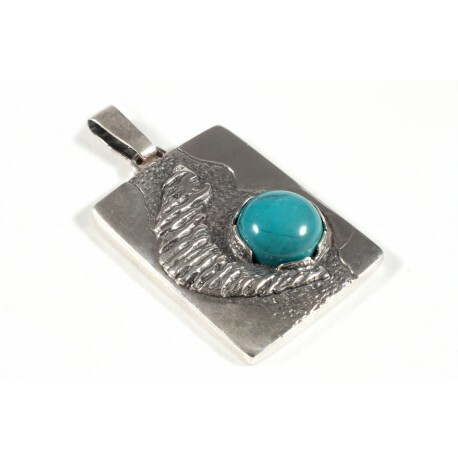 Coined silver pendant with turquoise inlay.